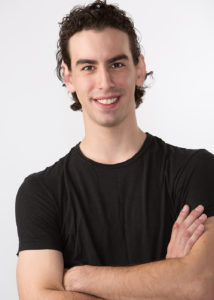 Martin joins the DanceArts faculty this season teaching Ballet Elementary, Boys dance, and Adult Ballet. He is professional dancer for Carolina Ballet Theatre for over 5 years and danced professionally with Boulder Ballet for two seasons. Martin is from Caracas, Venezuela, and began dancing in 1999. He trained with Quinte Ballet School in Canada and School of Carolina Ballet Theatre. He has professionally trained in National Ballet of Cuba and The Carret Dance Conservatory in Toronto, Ontario. He has toured throughout Uruguay with CBT and has recently traveled and performed as a guest in Fujinomia, Japan, dancing pas de deux from Giselle, La Bayadere, and Swan Lake. Some of his signature roles are the charming young Nutcracker Prince in Hernan Justo’s The Nutcracker, the Mad Scientist in Madeline Jazz’s Super Heroes, and the male soloist in A Tango for Angelina. Martin performed works by renowned contemporary choreographers such as Dwight Rhoden’s Beatle Juice, and Alonzo King’s Map. Guest dancing has brought him to the UNIVERSITY OF SOUTH CAROLINA DANCE CONSERVATORY, COLUMBIA, SC where he danced Balanchine’s Stars and Stripes and Brahms-Shoenberg Quartet and Lynn Taylor-Corbett’s Great Galloping Gottschalk. 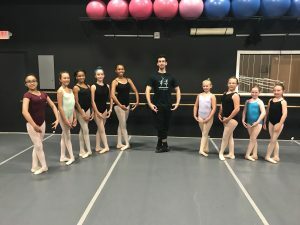 He is permanent guest dancer with Olney Ballet Theatre in Olney, Maryland, GRIFFIN BALLET THEATRE, GRIFFIN, GA and SPRINGFIELD BALLET COMPANY, SPRINGFIELD, IL. 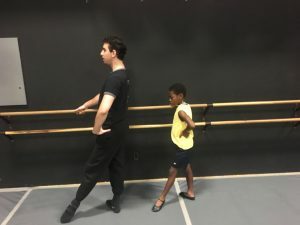 He taught in Carolina Ballet Theatre’s dance outreach programs as well as SmartArts Arts Integration program in Greenville County Schools. He was the ballet instructor at LA Dance Factory, Upstate Carolina Dance Center and the The Dance Shop. 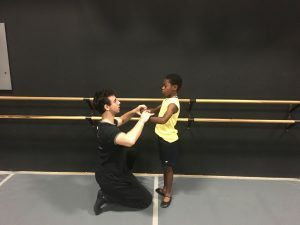 He is the Ballet instructor in DanceArts Junior Intensive 2018 and Adult Ballet class. Martin loves sharing his passion of dance and building his teaching experience with his parents, Anita & Hernan as directors. You will see Martin on Wednesday at DAG!